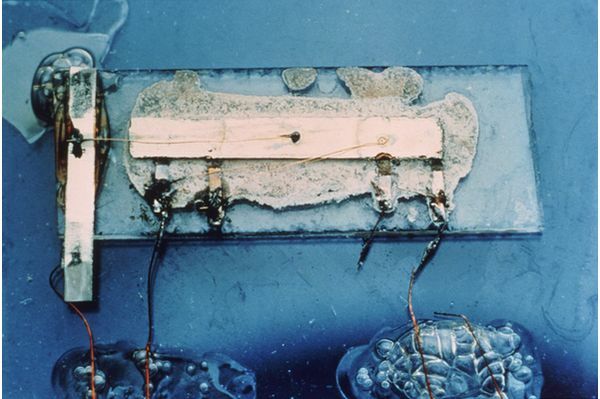 NOVA's Tim De Chant posted this awesome photo of the Kilby Solid Circuit, the first working example of a miniaturized electric circuit that combined all the necessary structures onto a single chip. Back in 2000, when he won the Nobel Prize for this achievement, inventor Jack Kilby gave a really nice talk about the history of electronics and the context that lead to his creation. It's definitely worth a read.